Here's an interesting bit of news for co-op fans. 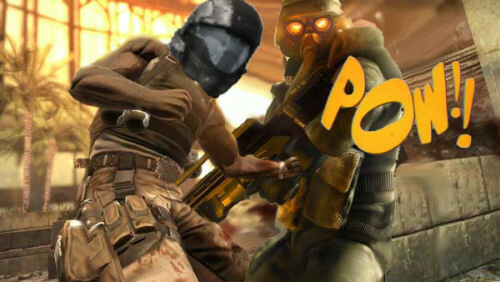 Killzone 2 is the premiere FPS for the PS3. It's gorgeous visually, but has one glaring weakness: no co-op whatsoever. As we've covered before, the game really suffers as a result. Even without our favorite feature, Killzone 2 has sold well by almost any measure, with 1.9 million copies moved since the game's release in late February. I did just say "almost any measure". Apparently, when compared to Halo 3 ODST, Killzone 2 looks like small potatoes. All the controversy about ODST's campaign length and recycled multiplayer didn't hold too many fans back. A whopping 2 million copies of Halo 3 ODST were sold on the first day alone. Not too many games sell like that, folks. The question is, why? Is it the fact that there are more Xbox 360s out there? Perhaps the marketing bonanza, with a Halo anime coming? Maybe it's the Reach beta? Or is it just the Halo title? All of these may be factors, but for us, the clear reason is co-op. Firefight is just what the franchise needed: a way to extend gameplay beyond the campaign that doesn't involve PvP. Teaming up with your friends to take down the covenant is a good time, by any measure.